Guillotine Submission in MMA | MMA Fighting Events Videos Techniques UFC Fight Picks and News. The guillotine choke submission is most commonly used from the guard position, but it can also be done from the mount. In the Jake Sheilds vs Nick Thompson fight, Shields uses a single leg takedown to get the fight to the ground. He then takes the mount position and finishes the fight with the guillotine submission. Check out the free MMA fight video to see the guillotine submission in action. Now that you've seen the guillotine submission in MMA action, check out a free video instructional on how to get the submission on an opponent. A few years ago, Dan Miller uses the nasties guillotine I've ever seen to submit Dave Phillips. It almost looked like Phillips head was about to pop off. 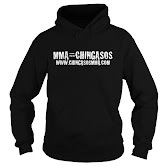 Check out the free MMA fight video. Feel free to submit videos with the guillotine submission in action to add to this collection. It will be helpful for those learning MMA techniques and for those that just want to see them in action. If you're in the Los Angeles area, and you want to train in MMA (Mixed Martial Arts), check out the Los Angeles MMA Gyms article. Learn the guillotine and more hands on!